Almetyevsk — Copenhagenize Design Co. 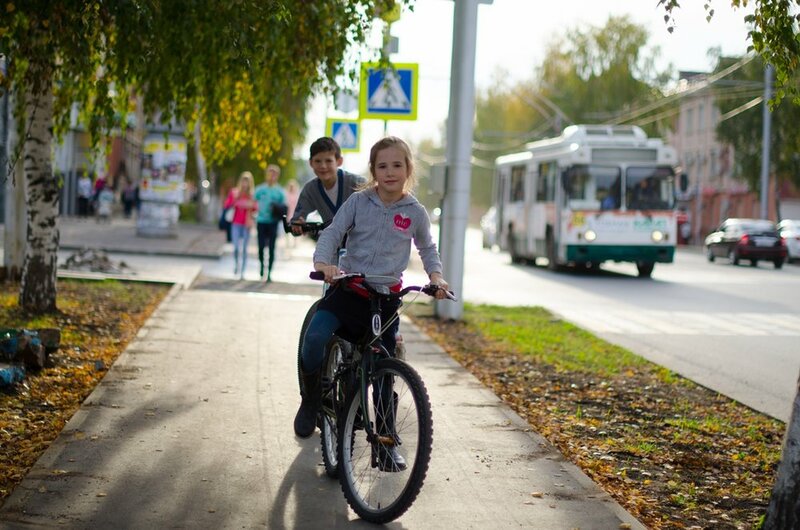 Despite cultural, linguistic and engineering differences in 2015 – Almetyevsk, a city of 150,000 in the republic of Tatarstan – was set on transforming itself into the most bicycle friendly city in Russia. Copenhagenize Design Co. was tasked with developing a comprehensive strategy for the development of a protected bicycle network and coaching local engineers until completion of the project. Over 200 km of best practice bicycle infrastructure is planned, along with all the necessary bells and whistles like bicycle traffic lights, bicycle parking and general prioritizing of bicycle users as is seen in Copenhagen. 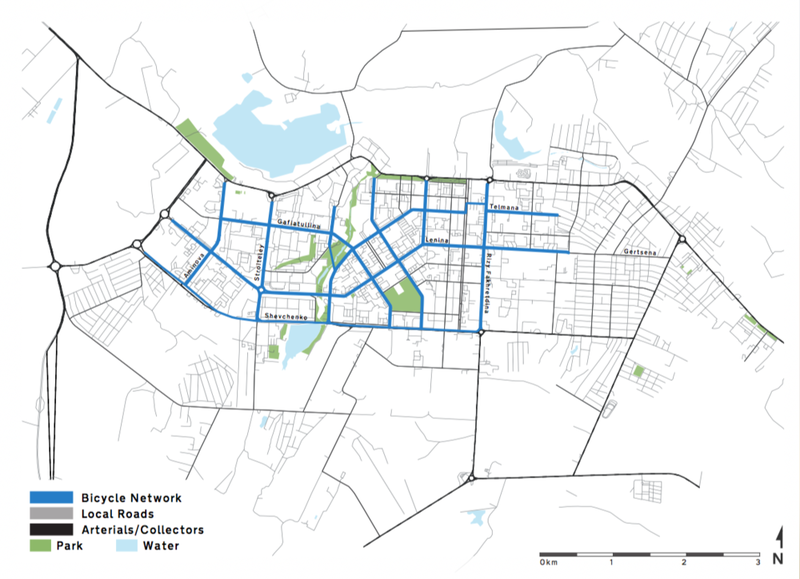 The vision for Almetyevsk aimed to create a place where the young and old, rich and poor, can cycle alongside one another on a safe and connected network of best practice bicycle infrastructure. 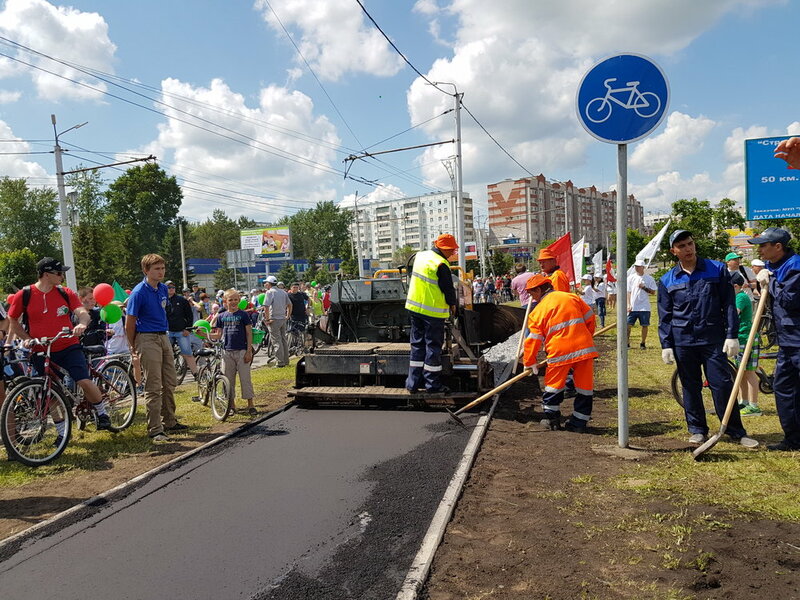 Construction on the project began in May 2016, coinciding with Russia’s annual bicycle parade day and a ribbon cutting ceremony, celebrating the first 50 km of best practice, separated bicycle infrastructure in a cohesive network. Read more about the Almetyevsk project here.